Silo J.M. Lambert inc. began in the business with a construction of subconstracting silo packages. The company quickly distinguished itself by selling its own brand of concrete silo staves. In 1983, it increased its range of products by putting a fleet of silo unloaders into operation. Later, a full range of RTM mixers as well as vitrify steel silos would be added. Always with a vision of serving you better, Silo J.M. Lambert inc. keeps a wide range of spare parts in stock in order to respond quickly to your immediate maintenance and repair needs of silos, mixers and silo unloaders. Today, strengthened with this new development, the Silo J.M. Lambert inc. team offers you its expertise to analyze your needs and recommend a product that will satisfy all your expectations. Whether it is for a new silo project or buying a silo unloader, a mixer, a tank or other related equipment, Silo J.M. Lambert inc. is there for you. To be at the forefront in the manufacture, distribution and maintenance of equipment by innovating and constantly improving our products. Give a customer impeccable service day after day. Reach 40% of the shares in Quebec within 5 years and achieve a 95% satisfaction rating from our customers and future customers. To be attentive of your needs and provide you security. 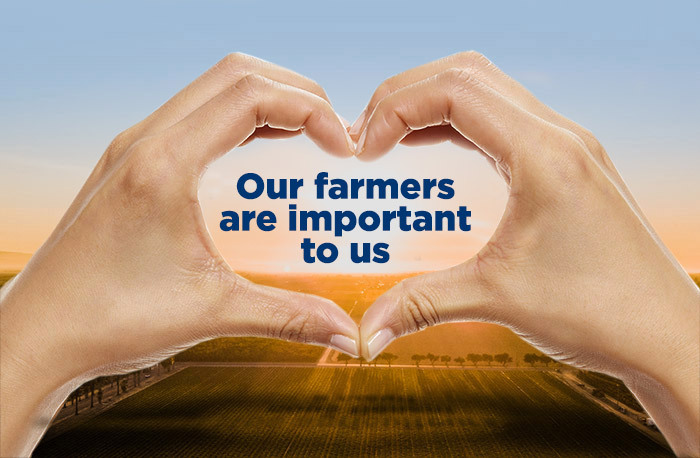 The quality of our products and the protection of the environment is of our most important values. We have the largest inventory of silo parts, new or used silo unloaders, refurbished in Quebec. We offer cost-effective solutions, tailor-made to meet all your needs.